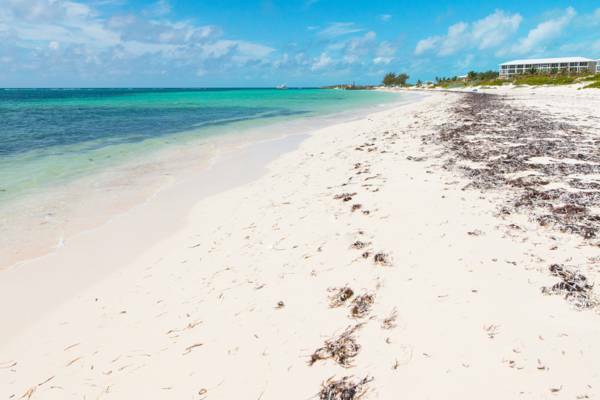 Due to the easy access, East Bay is the most popular beach on South Caicos. This beach is easy to access from town and is decent. However, it doesn’t quite compare to the top beaches on the other main island in the country. Due to the constant east southeast trade winds, East Bay is the best kiteboarding and windsurfing spot on the island. East Bay is a rather nice and easy to access beach on the south coast of South Caicos. It’s the main beach accessible from Cockburn Harbour, the main settlement on the island. As is the case with many of the coastlines on South Caicos, the general East Bay region is quite scenic. To the north are the expansive salinas, and Dove Cay and Long Cay is visible to the west. For those on a day trip to South Caicos, this beach is a great stop before continuing on to Highlands Bay and Valley Bay Beach. The newly-opened East Bay Resort. In the past, the water at East Bay Beach has had a problem with seaweed and flotsam. The recently-opened East Bay Resort oversaw cleaning of the area and clean sand can now be found on the beach and ocean floor off of much of the coast. There’s no good snorkelling on East Bay. A few small reefs and coral heads are located off the east end of the beach, but these do not compare well to many of the island’s other underwater sites. The Turks and Caicos generally experiences an east southeast trade winds, and these conditions make East Bay the best kite spot on South Caicos. Wind will usually be onshore, whereas the other beaches on South Caicos typically have an offshore or side shore direction. There can be a little chop on breezy days, but a barrier reef and the small peninsula at Shark Bay (Gannaway Bay) do quite a bit to flatten the ocean surface. East Bay is the most popular beach on South Caicos, due to it's ease of access. 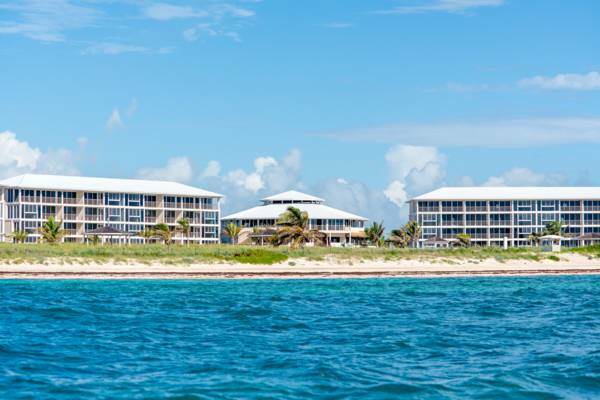 It's located on the southern coast, near to several villas and the Caicos Beach Club. The beach usually has seaweed washed ashore, and can be calm depending on the weather. Last reviewed by an editor on 5 September 2018.